LOS ANGELES, CA – 30 Jun, 2017 – A new home-based business called My Lucky Pearls launched in January 2017. The business makes use of Facebook Live to host games and giveaways. In these events, oysters are opened to reveal freshwater pearls which can be won or purchased on the night. 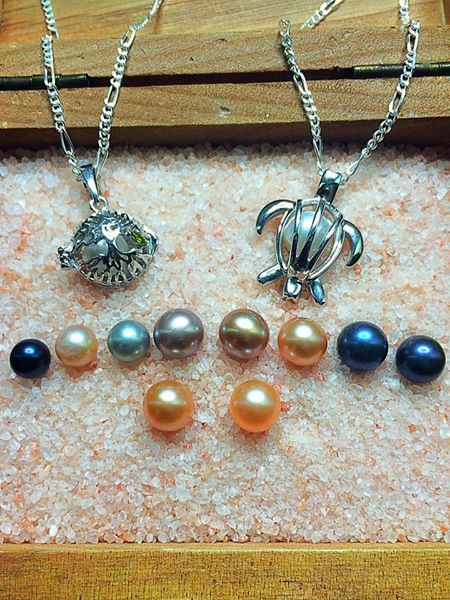 All oysters are guaranteed to have a pearl inside, and can be placed in one of their many solid 925 sterling silver cage pendants. My Lucky Pearls have many different products to choose from, with their wheel spin being the most popular, which occurs live on camera. Prizes for the wheel spin range from a $60 to a $135 value, with a grand prize of four oysters with pearls displayed in a piece of jewelry of your choice. There are many other opportunities to win prizes, such as their video share contest and purchased bingo cage. Besides purchasing the opportunity to participate in the games, customers can purchase other products such as hidden pearl bath bombs, jewelry or oysters which can be opened at home. My Lucky Pearls has a Facebook community of over 8000 fans who love freshwater pearls as well as the unique game show format for acquiring them. The Facebook Live platform offers businesses a unique opportunity to take advantage of the live video streaming trend by providing immediate feedback as to the number of customers watching and participating. Because live video takes less time than creating website content or blog posts, it is a cost-efficient way to build a customer base. For more information or to find out how to participate in games and giveaways, visit the My Lucky Pearls website.